Yesterday we came from New York to Chicago for our traditional two concert presentation by the Chicago Symphony Orchestra in the lovely 4th Presbyterian Church on Michigan Avenue. 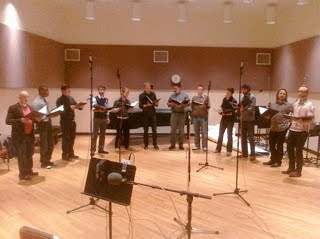 Today started with an 11am taping at WFMT radio station. We're always glad that so many people hear us on radio at Christmas time. 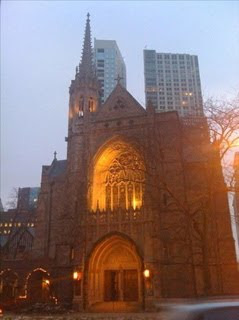 Later on, the concert ( the first of two) in Chicago's elegant 4th Presbyterian Church.